Traditional East London pub in a stunning location, serving homemade food, Sunday Lunch, traditional beers. Beer garden, terrace, overlooking leafy Victoria Park. 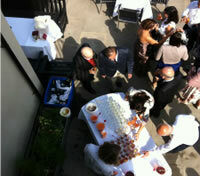 Venue hire catering for up to 120 people. The Royal Inn on the Park has to be one of the most stunning locations for a traditional English pub in London. 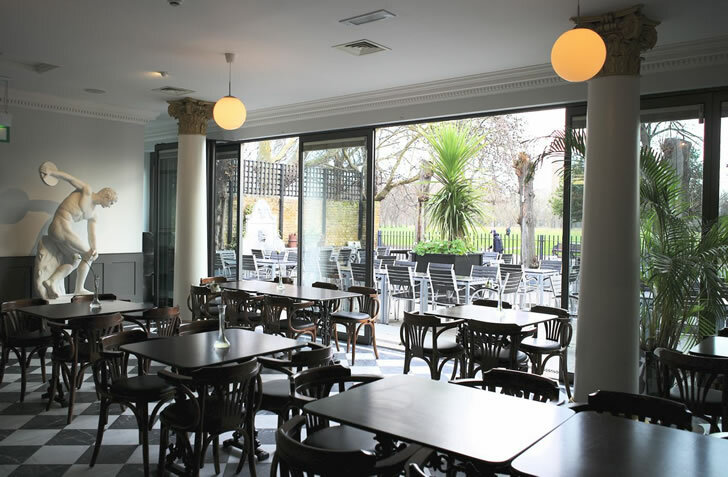 Serving food and drink from the heart of vibrant Victoria Park Village, this London pub is literally situated on Victoria Park itself, with a beautiful leafy terraced beer garden looking directly out onto the green lawns and ancient trees of the oldest public park in Britain. The Royal Inn describes itself as a real pub with a down to earth attitude, friendly service and relaxed atmosphere. It serves modern European food and a great range of beverages. This East London pub has a traditional main bar full of atmosphere, a quite room, a front garden and a wonderful (and sizable) terrace garden at the back (complete with Barbeque facilities). The garden bar is licensed until 23.00. The Royal Inn also has a self contained function room upstairs, catering for private functions of up to 120 people- licensed until 1.00 AM. The food is traditionally prepared, homemade and includes freshly baked bread daily. The pub has five well kept bitters (hand pumped). Other speciality beers and ciders include pear cider on draught, Hoegaarden, Fruli, Paulaner and really great tasting Guinness (certified). Don’t miss – Sunday lunch; Every Monday - Life drawing upstairs and the Pub Quiz on Tuesdays - quiz commences 20.30! Food service: Tuesday to Saturday 12:30 to 15:30 and 18:30- 22.00, Sunday lunch - 12:30 to 16.00. No food service on Sunday evening or on Mondays. We look forward to seeing you! Drop by for a drink or to enjoy our home cooking and excellent Sunday Lunch. 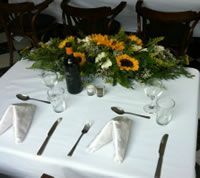 Please contact us directly for more information on our private functions and venue hire. Good home cooking and excellent Sunday Lunch!